"You have helped me transform Meg into such a different dog. Friends who hadn’t seen her in a couple of months had said what a change there had been in her for the good"
“I highly recommend Fiona's classes. They are fun and informative and my Ozzy is loving them! His behaviour has improved at home since we started training him regularly as he is more engaged. We've already learnt some new games and tricks to keep him focussed on us. “Terrific classes run by friendly, helpful and knowledgeable instructors in a fun and positive way. 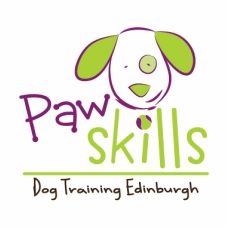 My 6 month old puppy did the puppy class and has now progressed to a much more advanced class… If you love learning new things with your dog then this is the class for you!" "Like toddlers, puppies don't come with an instruction manual, but Fiona and Riz certainly make up for that! Recommended for all new puppy owners."